This page has been viewed 2728 times. 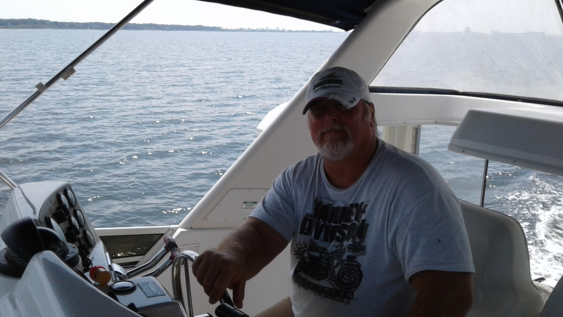 Florida Captain James Lowe has extensive experience in Florida vessel delivery in around ports, rivers, canals, ICWs and homes and marinas along Florida's navigable waterways. Florida Captain James Lowe has repositioned vessels from the Gulf of Mexico to the Atlantic and back via the Florida Okeechobee Waterway and south via Florida Keys Waterway and is Familiar with the inside and outside routes, including locks, bridges water depths and bridge clearances and opening times for bridges and locks. James Lowe has provided yacht delivery captain services north and south along Florida's Atlantic ICW as well as vessel repositioning services east and west through the Florida Okeechobee Waterway and also the Florida Keys Waterway and know where and when to change course and what points to enter the Intercostal Waterways. Florida is surrounded by shallow water it may not look it but grounding a vessel by a captain that is unfamiliar with the route is very common, local knowledge is of paramount importance frequent shoaling near inlets regularly changes. Tides are also a very important to follow and the vigilant Florida captain will always know if the tide is rising or falling. Some of Florida's inlets have such a strong current that an under powered boat could only safely enter or exit during a time of slack water. Florida Captain James Lowe also has experience crossing the big bend area, knowing the vessels fuel burn rate and fuel capacity is very important here last chance stops for diesel are rare and how far north to go before crossing over or how far west before heading south this is a determination that is going to depend on vessel draft and fuel type. Captain James Lowe specializes in yacht delivery and vessel relocation and has vast experience in the state of Florida. Captain James Lowe has sailed the entire Florida coastline both inside and outside routes. If you need a Florida Captain , James Lowe Captain Service provides Captain Service in the following areas starts here to ports along the United States ICW., Atlantic East and Gulf Coasts, Florida the Bahamas, and Caribbean. Florida captain James Lowe's services include but not limited to the following Florida areas: Tampa, FL. Naples, FL. FT. Myers, FL. Cape Coral, FL. Okeechobee , FL. Tarpon Springs, FL. New Port Richey, FL. Pensacola, FL. Destin, FL. Fort Walton Beach , FL. Port St Joe, FL. Apalachicola, FL. Steinhatchee, FL. Carrabelle, FL. Crystal River, FL. Florida Keys Captain, Miami, FL. Jacksonville, FL. St. Augustine, FL. Daytona Beach, FL. Cape Canaveral, FL. Stuart, FL. West Palm Peach, FL. FT. Lauderdale, FL. Caloosahatchee River, FL. Suwannee River, FL. St.Johns River, FL. Indian River, FL. Florida's Okeechobee Waterway .